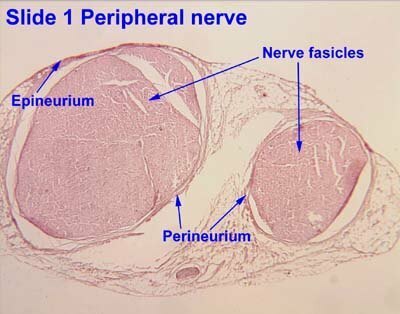 What is Peripheral Nerve Field Stimulation? 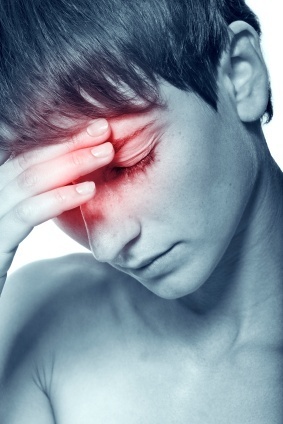 Headaches are one of the most common medical conditions reported by the general population in North America and Europe. Severe chronic headaches, where people experience disabling pain almost daily, affect about 2% of that population. Migraines (tension type headaches) are another common type of headache, affecting people mainly between the ages of twenty-five and fifty. With such a large number of people being diagnosed with headaches, it is difficult for physicians to find an effective and long-lasting treatment for relief. If medications and traditional types of therapies have been unsuccessful for headache pain, patients do have alternative options. Peripheral nerve stimulation, a type of neuromodulation, is a treatment where electrodes that transmit mild electrical pulses are implanted in the tissue surrounding the path of the peripheral nerves in order to control pain. Patients who have not had success with other types of treatment or who would prefer an alternative to prescription medications may find peripheral nerve stimulation to be a viable option. The benefits of peripheral nerve stimulation are that the procedure is extremely safe and results have shown that it effectively can provide pain relief for numerous neuropathic and other medical conditions. Before patients receive peripheral nerve stimulation treatment, they will undergo a neuropsychological exam. This helps the physician determine the optimal placement for the electrodes, based on the severity of the patient’s condition. 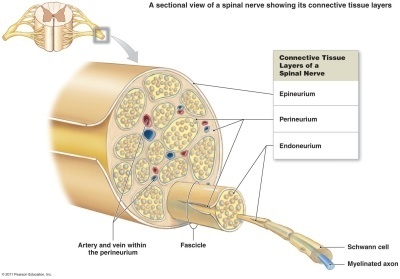 Peripheral nerve stimulation is frequently performed in two stages. In the first stage, the physician will set up a temporary trial of the stimulation that will usually last about a week. The trial enables the patient to determine if peripheral nerve stimulation may be an effective form of treatment for them. If the patient feels that the trial stimulation was not beneficial, the electrodes can be easily removed and other alternative pain treatments can be explored. The second stage of treatment is the actual surgical placement of permanent electrodes in the body. Peripheral nerve stimulation is a minimally invasive and safe treatment option. Patients stay awake during the procedure so the electrodes can be tested throughout the process. A local anesthetic is administered to the patient before the electrodes are administered. Using fluoroscopic guidance, the physician makes a small incision and implants the electrodes over the path of the peripheral nerves in the area of the body causing the patient pain. Once the electrodes are correctly placed, a mild electrical current is administered to the nerve pathway. The electrical current is not painful, with patients commonly reporting it as a tingling sensation. Once the stimulation has begun, the electrical current deceives the brain into reducing pain signals, which in turn offers pain relief to the patient. The majority of patients report peripheral nerve stimulation successful in relieving pain symptoms. Some cases have shown that following the treatment, patients are able to discontinue or reduce the amount of pain medication they need to take on a daily basis. Patients who are looking to decrease the intake of prescription medicine or who have undergone traditional therapies that were unable to offer pain relief make the best candidates for peripheral nerve stimulation. There are numerous conditions that can be treated with peripheral nerve stimulation, such as chronic headaches, occipital neuralgia, diabetic peripheral neuropathy, nerve injury, and complex regional pain syndrome. The benefits of peripheral nerve stimulation make it a viable treatment option for patients suffering from most types of chronic pain. It is a safe, minimally invasive surgical procedure with minimal side effects. The electrodes do not cause damage to the tissue in which they are implanted and the nerve stimulation can be reversed at any point during the treatment by the patient. Peripheral nerve stimulation has been shown to effectively relieve pain for those patients who suffer from headaches, nerve injury, neuralgia, and numerous other medical conditions. If traditional therapy and prescription medication have not been successful in pain reduction, peripheral nerve stimulation can be an alternate type of treatment. Although a mild electrical current is transmitted through the body, the nerve stimulation is very safe and does not cause internal damage. Reports have shown that after peripheral nerve stimulation, many patients experience enough pain relief to reduce the amount of their daily prescribed medication. Kapural L, Mekhail N, Hayek SM, Stanton-Hicks M, Malak O: Occipital nerve electrical stimulation via the midline approach and subcutaneous surgical leads for treatment of severe occipital neuralgia: a pilot study. Anesth Analg. 2005;101:171-174. Lin E, Choi J, Hadzic A. Peripheral nerve blocks for outpatient surgery: evidence-based indications. Curr Opin Anaesthesiol. 2013;26(4):467-74. Mobbs RJ, Blum P, Rossato R. Mesh electrode for peripheral nerve stimulation. J Clin Neurosci. 2003;10: 476–7. Raggi A, Giovannetti AM, Quintas R et al. A systematic review of the psychosocial difficulties relevant to patients with migraine. J. Headache Pain. 2012;13(8):595–606. Rasmussen BK. Epidemiology of migraine. Biomed Pharmacother. 1995;49(10):452-455. Stovner L, Hagen K, Jensen R, et al. The global burden of headache: a documentation of headache prevalence and disability worldwide. Cephalalgia. 2007;27:193–210. World Health Organization website. Headache disorders. Available at: http://www.who.int/mediacentre/factsheets/fs277/en/. October 12, 2010.